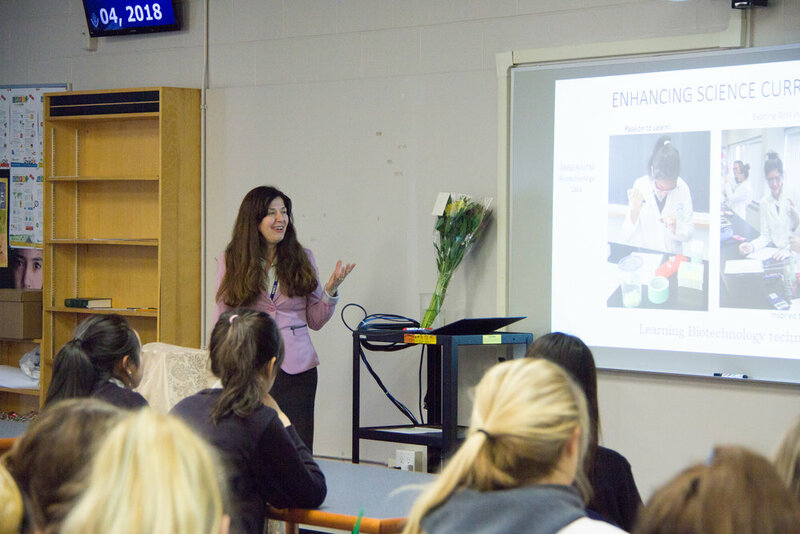 In the biology and chemistry classes she now teaches, she is turning old models of teaching on their head and preparing young women for university science coursework through hands-on labs that connect to real-world applications. This week, Nicoletti was recognized as a pioneer, the first teacher in Canada to introduce students to the Amgen Biotech Experience (ABE), real-world, hands-on biotechnology labs that can be implemented in local classrooms, helping transform students’ understanding of science. Nicoletti is part of a team of teachers that carry out STEM activities at Holy Name, including innovative forensics and mini-medical programs and a competitive robotics team. The school had 78 per cent of its 2018 graduates pursue STEM at the post-secondary level – bucking the national rate in Canada. In 2014, 38 per cent of students pursuing bachelor’s degrees in STEM were women.